Remsen is an agent with the CIA. 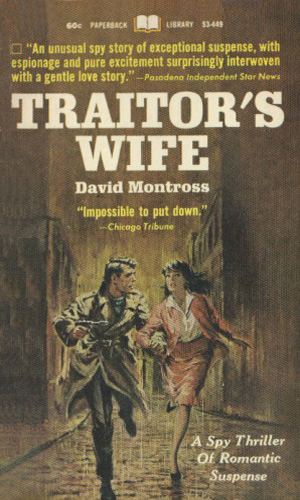 The three-book series about the graying, experienced operative Remsen and those with whom he has contact, are referred to as "Spy Thriller of Romantic Suspense". In each of the adventures, young beautiful women are placed into terrifying and highly dangerous situations, surrounded by agents who feel the mission is far more important than the few that might get hurt. In each book the different women will meet and fall in love with handsome spies who work for Remsen, thus fulfilling the romantic suspense part. In each book the agents engage in exciting espionage activity, taking care of the spy thriller. It is of note that the two do not contradict each other - the adventures work. About Remsen very little is ever said, including what his first name is, assuming that Remsen is not the first name. He is by no means a young man anymore, having worked in the spy game since WWII and possibly before, making him at least in his mid 40's. Based on the descriptions and his attitudes, he is probably older. He holds a position of some power and respect and at one point is almost certainly Chief of Station in one European country. Remsen is devoted to getting the job done. He by no means wants injury or worse to befall the ladies who get involved in the cases and he does go out of his way to make as sure as he can that they remain unharmed but the mission is the biggest priority. He is still a romantic at heart, though, and takes some pleasure in seeing the women meeting men he feels will treat them properly. Her husband had defected to the Soviet Union months before. When his call to her to join him, she thought love and marriage mattered more than ideology and country. Until she went there. Now she knew she had to get out. Was Remsen trying to help her or did he have another agenda. Elissa Sheldon is being pulled in different directions by two powerful forced: the CIA under the direction of Remsen and the Russian secret police. Both want to know who she really is but she just wants to get out from between them. 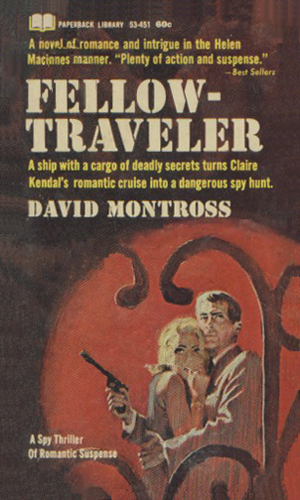 Claire Kendal accidentally overhead a conversation that dealt with an international plot. Though she was about to depart on a cruise in the Med, she contacted the CIA who, through Remsen, assigns an agent to join her. Soon they and Remsen learn that the ship is the center of considerable espionage activity. To fans of spy fiction, the most compelling aspect of these novels, IMHO, is the attitude of the agents towards the Communists. The evilness of the Soviets, especially the secret police (read KGB), is palpable, reflecting deeply the attitude of the nation in the very early 60's. It is an education. And the books are very well written and quite enjoyable. It isn't often that school can be fun. 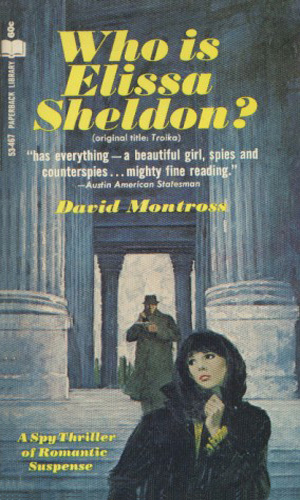 The primary emphasis of the series was on the romantic suspense with the actual espionage taking a secondary role but since the stories are about the women and the dangers they face and the terror and uncertainty they experience, the books feel right and work well. I would recommend this series to modern history buffs and to romantic thriller fans.